Powered Paragliding is the easiest and least expensive way to fly with power. We will be offering free lodging at the Jasper Alabama Training center. Book your training now before its filled up. Powered Paragliding Training and Sales in Jasper Alabama. Training is key to a solid powered paragliding experience at UFO PARAMOTORS is your complete source for sales and flight "Training" in Jasper Alabama. We do training in beautiful Orlando and Lake wales Florida also. We mainly train in Jasper Alabama, But we do come to Florida. Student is required to purchase equipment from us before we come to Florida to train. 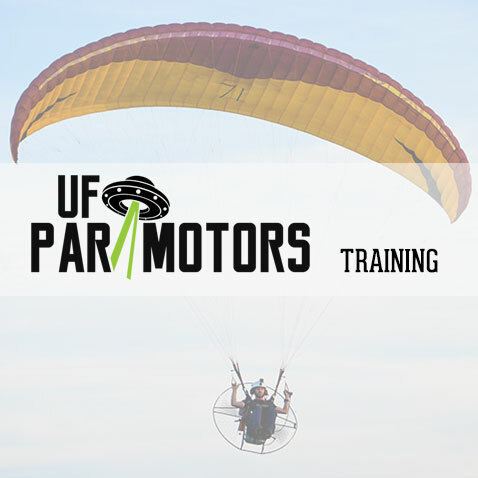 UFO PARAMOTORS is United States Powered Paragliding Association Certified School for training. WE WORK WITH THE BEST COMPANIES IN THE INDUSTRY TO KEEP YOU SAFE AND HAVING FUN. We only sell equipment from reputable brands proven over time to keep pilots safe and having fun. When flying you need to make sure that your equipment fits your needs. 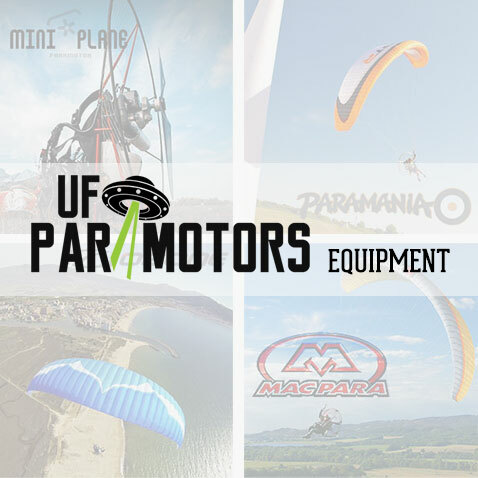 You need a Paramotor which is right for your weight, a cage which fits your style, and a wing that will keep you confident in the air and grow with your experience. *If you want to get into the sport and are looking to save some money, check out our used equipment page here. CHOOSING A POWERED PARAGLIDING SCHOOL IS A BIG DECISION WHICH SHOULD NOT BE TAKE LIGHTLY. 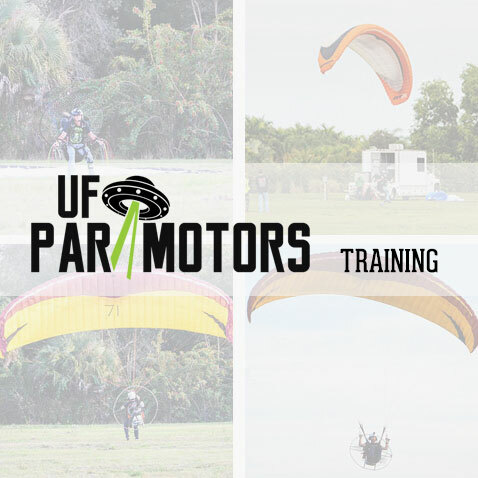 The number one concern in teaching students at UFO PARAMOTORS is safety. We want you to walk away with the knowledge and the comfort that you are always in control of the aircraft and not that the aircraft is in control of you. 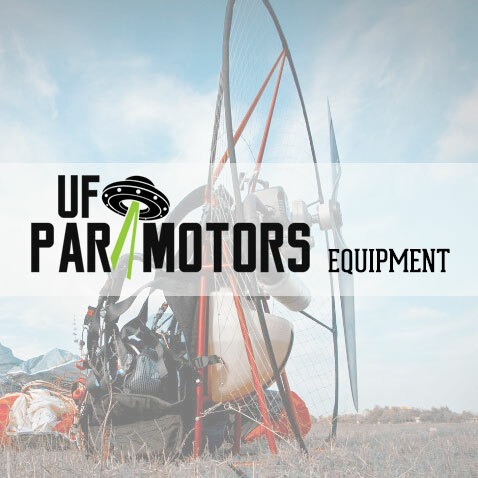 UFO PARAMOTORS goal is for you to have fun each and every time you go flying.